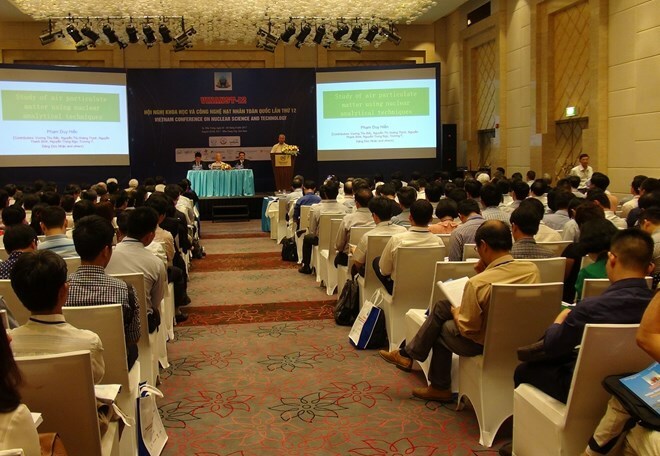 Khanh Hoa (VNA) – The 12th National Conference on Nuclear Science and Technology opened in Nha Trang city, the south central province of Khanh Hoa, on August 2. Opening the biennial event, Deputy Minister of Science and Technology Pham Cong Tac said the nuclear energy sector has been developing and gained encouraging outcomes in Vietnam over the past years. However, it needs to continue weathering difficulties and challenges to improve the nuclear science and technology capacity while creating many products and services serving national development. This year’s conference will help orient, build and implement research programmes, develop and apply atomic energy for peaceful purposes, and enhance Vietnam’s cooperation with foreign partners in the field, he noted. It gathers leading scientists and experts from domestic and foreign research institutes, universities, hospitals and organisations, including the Duy Tan University, the Bach Mai Hospital, the Agricultural Genetics Institute of Vietnam’s Ministry of Agriculture and Rural Development, the Institute for Asian-Pacific Science-Technology Research Cooperation, and the International Atomic Energy Agency. They presented the latest research findings and experience in nuclear technology development, radiation safety, radioactive waste management, and personnel training. Participants also listened to speeches and reports on the application of nuclear techniques in industry, agriculture, rural development and health care. The three-day conference also features an exhibition on the application of nuclear science, technology, equipment and techniques in socio-economic development.